On Thursday January 12th, 2017 the Nootka Sound RCMP executed a search warrant on a residence in Gold River in relation to an alleged domestic assault. 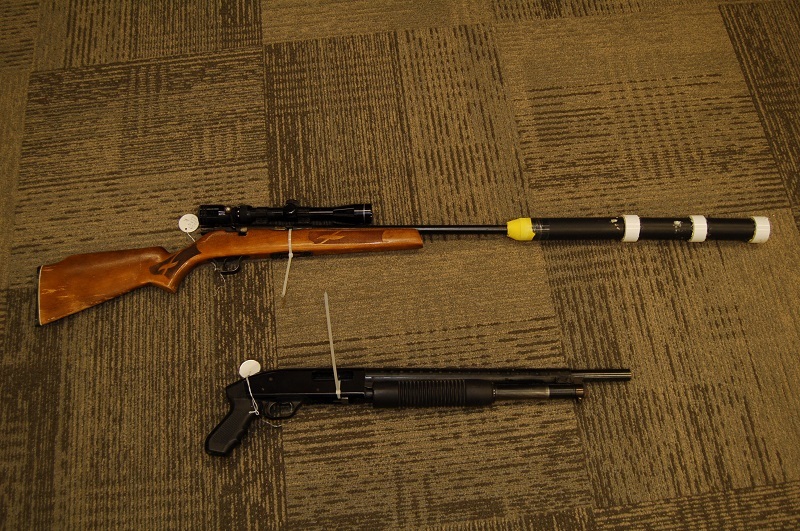 The search warrant yielded two insecure firearms, ammunition and a homemade silencer. A resident of Gold River had been arrested and remains before the courts on numerous charges including assault, forcible confinement, possession of a prohibited device, unlawful possession of firearms and carless use of firearms. Oh . . . this is really scary. I hope the person assaulted is doing okay. I personally do not like the sound of “strict conditions”. Hopefully these conditions will be monitored closely and the people involved – all of them (victim and alleged perpetrator)- will be safe.